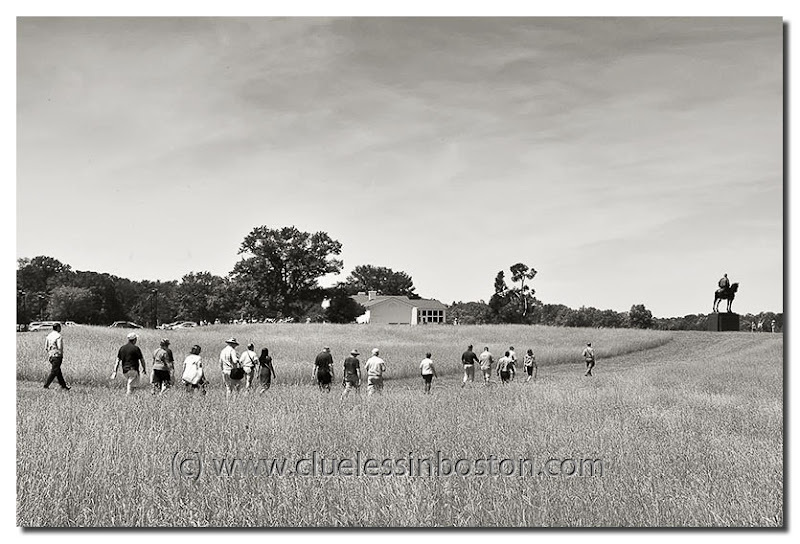 Tour group marching across the First Manassas battlefield. Statue in the background is Stonewall Jackson. The statue seems very tall and impressive;And attractive too for this walking group. I like the picture,but i'm not sure to be able to explain why.. There stands Jackson, like a stonewall. Nice shot ! I actually love the composition and the direction they all go towards the statue... love this !